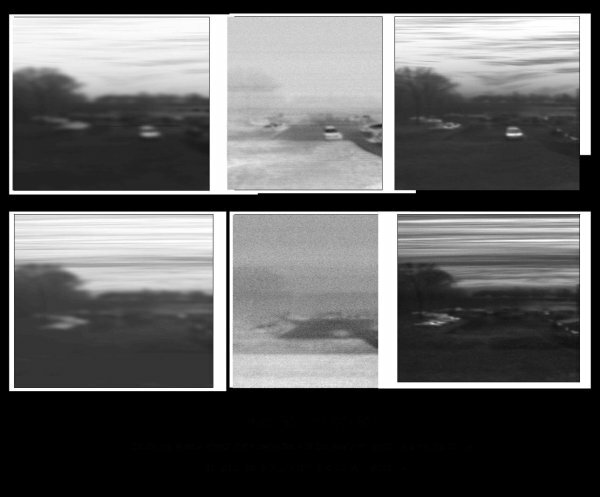 MAPS images of cloud-related sky noise at 35 GHz (left) and 95 GHz (right). Clouds are not seen at 60 GHz (center). Credit: Photos courtesy of Doc Ewen.